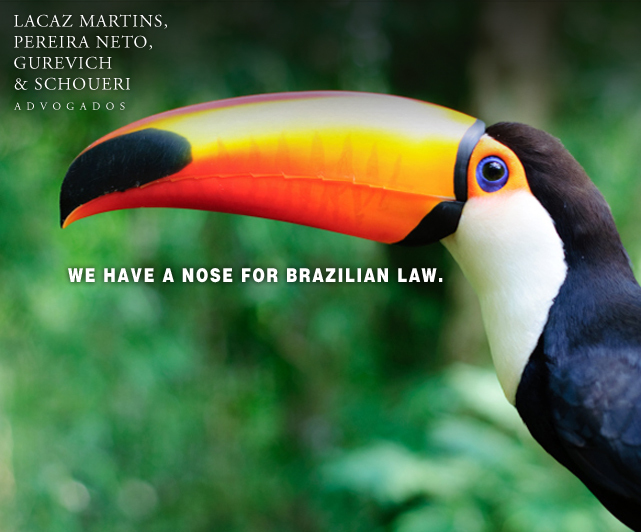 Brazil's Lacaz Martins has 180 lawyers and a competitive market. It wanted to increase its referrals from the United States and had joined Lawyers Associated Worldwide (LAW), an international law firm network, to expand its reach and global network. But law firms struggle with marketing into foreign countries. Google may be omnipresent, but the searches are still geographically focused. It presumes that when you are sitting in Chicago searching for a plumber, you don't want one in New York or Rio de Janeiro, and provides information accordingly. Google search results are biased toward your geographic location, as well as your personal search history (and language, more on this below). The same goes for searches for law firms -- a search for "Doing business in Brazil" will provide results close to home before providing results all the way in Brazil. That is, Google knows loosely who you are and what you've searched for previously, and helpfully orients its responses to accommodate. In other words, when conducting identical searches, the responses you receive will differ from someone's in a neighboring state, as well as the office next door. Unfortunately, that can give lawyers and firms a false confidence regarding their placement in Google searches. A firm ranks higher on its own computers than it does on those outside the firm. So a marketing committee can feel that they're doing pretty well online -- when they're actually not. Back to the Brazil law firm Lacaz Martins, Pereira Neto, Gurevich & Schoueri Advogados. A Sao Paulo-based firm with an office in Rio de Janeiro, their primary website was in Portuguese, although it offered the ability to translate each page into English. Google doesn't readily index this type of translation, so searches in English do poorly when the site is in Portuguese. In fact, Google searches for phrases like "legal services Brazil," "legal services sao paulo," or "Rio de Janeiro law firm" didn’t show any reference whatsoever to this prominent, award-winning firm until page 8. When was the last time you looked through to page 8 in a Google search? It's not unreasonable for someone in the US looking for a skilled law firm doing business in Brazil to search online. They might not do that for a major practice in a major US city (e.g. "boston litigation"), but when seeking a professional that far away, Google searches are a viable option, and being on page 3 (or 8) takes a firm completely out of competition. I was going to be in Brazil in two months to present a few keynote presentations at the LAW annual conference, and we embarked on a 45-day campaign to raise their awareness and Google rankings. While our online/digital marketing experts were working behind the scenes on blog development, link-building, keyword maximizing, and other SEO tools, we simultaneously created a visual campaign to increase their connection to Brazil in the minds of their target audiences. Cross your fingers. One thing you can do to enhance your SEO is to link your targets audiences' search phrases to your website, for example "Doing business in Brazil." All images (c) 2011 Fishman Marketing, Inc. All rights reserved.